Fairytales are magical, whimsical stories, but what makes them both comforting, intriguing and entertaining is the way they combine a simple grain of truth with a light approach and dark undertones. ABC’s upcoming series Once Upon a Time, which is slated for a fall/winter debut, could be the first time I’ve been excited about a television series that so clearly knows what makes these stories powerful, while putting a new spin on the concept. Personally, it’s hard to imagine a fairytale on television, but it looks interesting to say the least, and reminds me quite strongly of Alan Wake, the Xbox 360 game. Anna Swan (Jennifer Morrison) knows how to take care of herself. She’s a 28-year old bail bonds collector who’s been on her own ever since she was abandoned as a baby. But when the son she gave up years ago finds her, everything will change. Henry (Jared Gilmore) is 10 years old now and in desperate need of Anna’s help. Henry believes that Anna actually comes from an alternate world… and is Prince Charming (Josh Dallas) and Snow White’s (Ginnifer Goodwin) missing daughter. According to his book of fairytales, they sent her away to protect her from the Evil Queen’s (Lana Parilla) curse, which trapped the fairytale world forever, frozen in time. Of course Anna doesn’t believe a word, but when she brings Henry back to Storybrooke, she finds herself drawn to this unusual boy and his strange New England town. Concerned for Henry, she decides to stay for a while, but she soon suspects that Storybrooke is more than it seems. It’s a place where magic has been forgotten, but is still powerfully close… where fairytale characters are alive, even though they don’t remember who they once were–including the Evil Queen who is now Henry’s foster mother. The epic battle for the future of all worlds is beginning, but for good to win, Anna will have to accept her destiny and fight like hell. The series looks fairly FX-heavy, which could be both good and bad, depending on how much cash they have to pull off the effects, but it’s obviously a must for a series about fairytales where dragons and magic are commonplace. On top of a solid concept, I’m also really loving the casting, particularly because Robert Carlyle plays Rumplestiltskin, but there’s also Ginnifer Goodwin is Snow White, and stars Jennifer Morrison and Lana Parilla. Time will tell how this all turns out, and whether creators Adam Horowitz and Edward Kitsis can keep the series both entertaining and balanced, but for now here’s the preview trailer to give you an idea what to expect. So, what do you think? 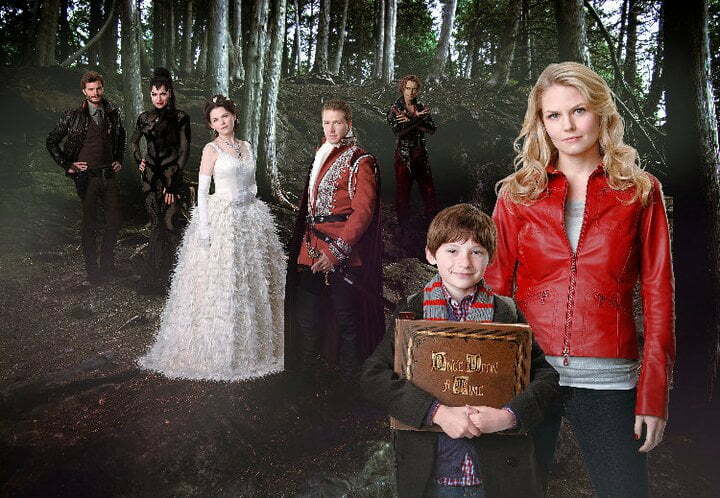 Will you tune in to Once Upon a Time, and will it be a hit?